Organist Mark Willey serves as Director of Music and Organist. 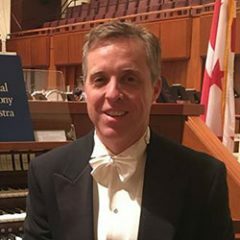 Originally from California, Mark came to Maryland in 1992 to study at the Peabody Conservatory of Music with renowned American organist Donald Sutherland. In 1995, Mark completed a Masters degree at the Eastman School of Music in Rochester, New York. At Eastman, Mark worked as a graduate assistant with the Eastman Rochester Organ Initiative, a groundbreaking, interdisciplinary organization studying historic instruments and their performance practice.